From day to day, with the passage of time, I find, perspectives become blurred, one winter merging with into another. That of 1965 and that of 1942. For Modiano there are memories of an old photographer, a street market, a girlfriend’s house and waits in cafes, the street deserted and riot police at each crossroads in May 1958 because ‘the situation in Algeria’ (4). I am caught up by such casual references, still struggling to understand just what the legacy of France’s crimes in Algeria has been, and how it has been experienced. But the convent these two literary figures find refuge in is very similar, almost exactly despite its imaginary geography, to the Saint-Coeur-de-Marie school where Dora was a boarder. She is put there for safety and never registered as a Jew, but runs away, keeps running away. Comes home and the off she runs again. Why does she run? I like that this book never pretends to know, and we are left with the traces of her life that he could find to invent our own histories and ask our own questions. I like how it names streets, painstakingly collects the track record of documents, transfer orders. Addresses carefully noted. The banal bureaucracies of institutional evil all carefully documented. 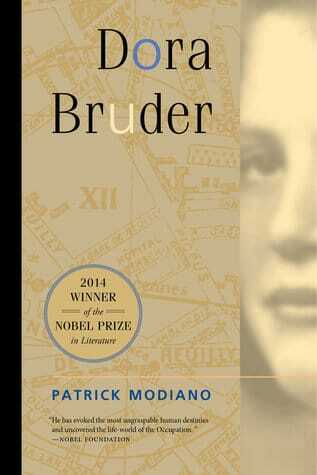 Dora Bruder runs, but not far enough, not fast enough to escape the Nazis and death in Auschwitz. And then there is the post war reconstruction, whole areas pulled down, whole blocks left rubble alongside houses and churches still standing. So this joins my collection of rubble books, like Vauxhall, like The Chicago Coast. I confess I am looking for them now. Here it is as much to erase the city’s own crime as recognised by the world, as to erase the unrecognised crimes of poverty and injustice. They have obliterated everything in order to build a sort of Swiss village in order that nobody, ever again, would question its neutrality.